(VOVWORLD) - A referendum on changing Macedonia's name failed to secure the voter turnout of 50 percent required to make the vote valid. With ballots from a majority of polling stations counted Monday, 91.5 percent of voters approved of changing the country's name to the Republic of North Macedonia, but only 36% of Macedonians turned out to vote in the referendum. 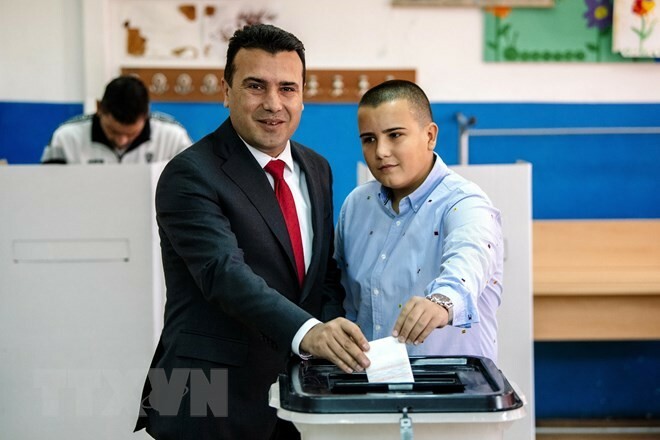 Macedonian Prime Minister Zoran Zaev asked lawmakers to ratify the referendum result. The same day, the Greek Foreign Ministry said Greece remains committed to Macedonia changing its name, which is also the name of a northern Greek province. The name conflict is Macedonia’s main obstacle to joining the EU and NATO.